The box it came in. I was asked to review Soft Scrub Total cleaning products from being a Purex Insider. 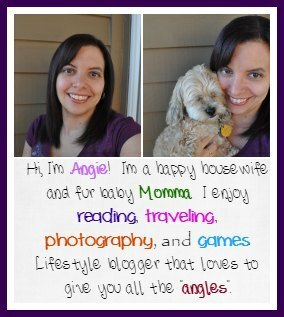 I was excited to get my products and try them out. Especially since I am a clean freak, so new cleaning products tend to excite me. Cleaning for me is fun, or is most of the time, anything new to test gives me a little pep in my step when I go to clean and try it out. This was no exception! I received two of the three different products to test in the Soft Scrub Total line. 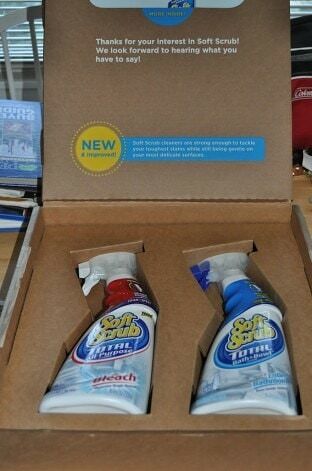 I received Soft Scrub Total All Purpose Cleaner with Bleach & Soft Scrub Total Bath & Bowl Cleaner. The other one in the Total line is Soft Scrub Total All Purpose Cleaner (without the bleach). I loved the box it came in, there was something different and special about it. Weird I know, but look at that box…special slots just for the bottles, and then the papers that came in it were in its own little slot at the top of the box. I was able to test out the Soft Scrub All Purpose Cleaner with Bleach in the kitchen a couple times now, and while I really love the way it cleans, the bleach smells tends to overpower me. I also like that it has two spray options with regular spray or a foam spray. You can choose between the two with just a little flip of the front of the spray nozzle. Super easy to switch between the two options. Also, the super unique thing about these cleaners is that they also work upside down! Really this is something I never came across before that can be used both upright and upside down. How handy is that? It’ll be great in those tight spaces and the toilet bowl. It’s tough on stains yet gentle on surfaces. Nice that is also deodorizes while it cleans. I love the way these clean! I will be adding them to my cleaning supply list without a doubt. Why don’t you try them as well! Now I have three coupons for a free Soft Scrub product! 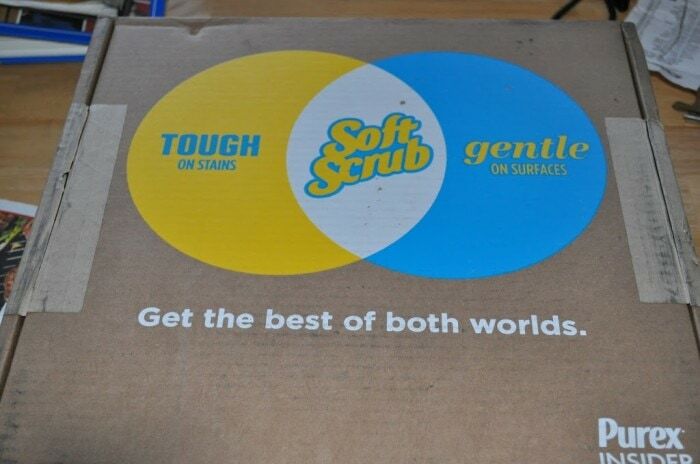 Weather you choose to try the new Soft Scrub Total products, which I hope you do or get one of your old favorites. Just fill out the rafflecopter below. There will be three winners that will get the coupon sent to them in the mail by me. USA only please. 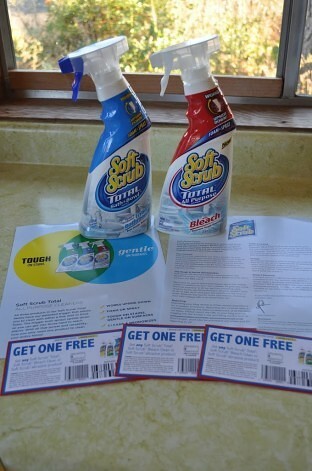 I was given 2 Soft Scrub Total Cleaners free from Purex Insiders to review & do a giveaway on. All thoughts & pictures are my own.